Discount available! 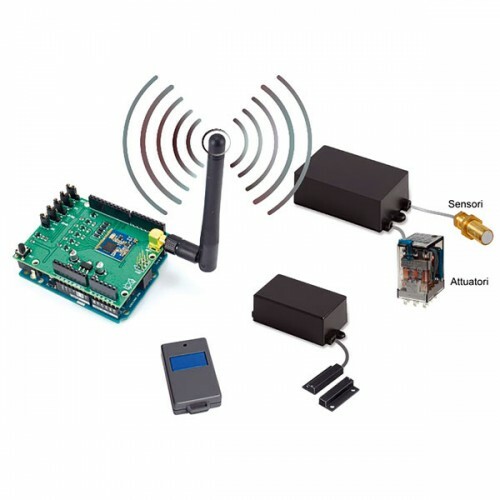 Recommend LoRa radio control - mounted to your friends and get your Discount. 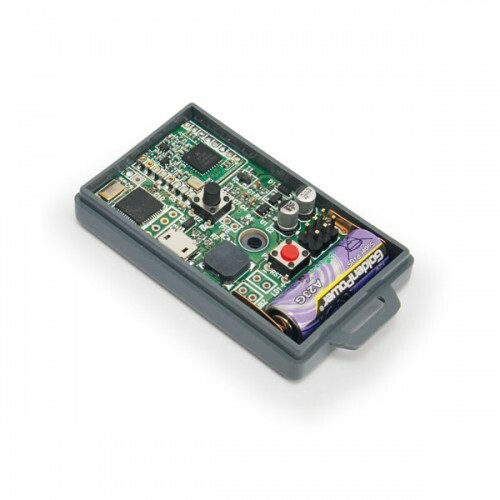 Portable transmitter based on the LoRa SX1278 radio module and managed by the ATmega32u4 microcontroller. 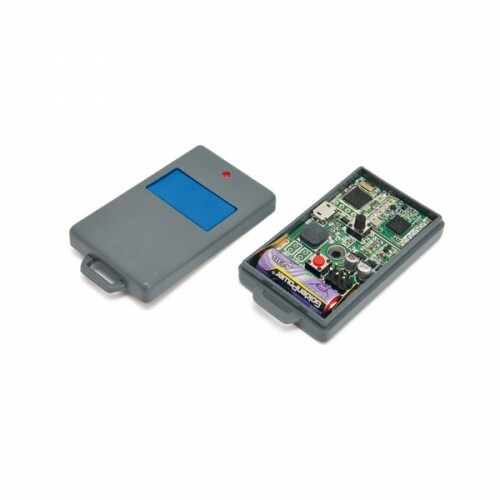 Suitable for use in combination with the LoRa screen (see related products), allows long-range radio commands. 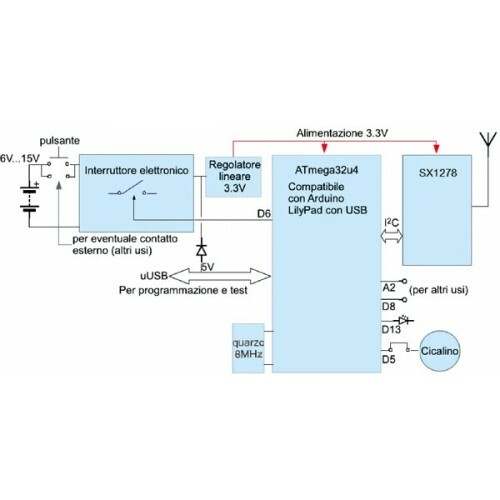 For programming, a micro USB socket is available via the Arduino IDE. The transmitter is powered by a battery type A23 12V with an average consumption of about 20 mA during operation. 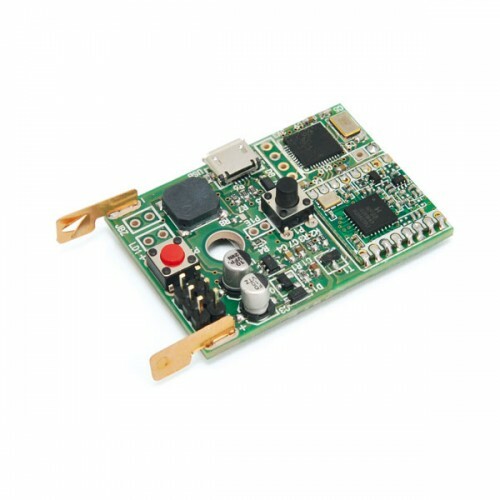 The radio control is supplied assembled, tested and complete with a container. If in parallel, it is an excellent anti-intrusion protection system. 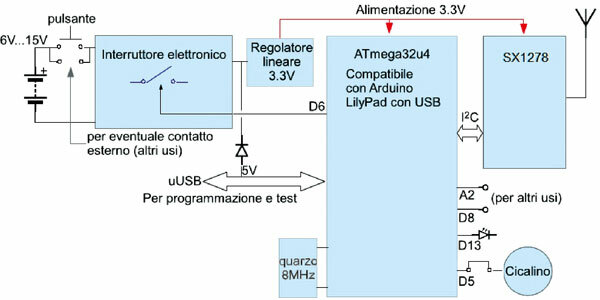 of Arduino UNO) where the Raspberry Pi processor can act as a sophisticated server, possibly connected to the Internet. the button, for example, via a MOS transistor that acts like a switch. In this case we could periodically send to the server an analog value on pin A2 or a digital value on pin D8. For this alternative use it is possible to use the G1013 (with some adaptations), in case you do not want the window of the button. 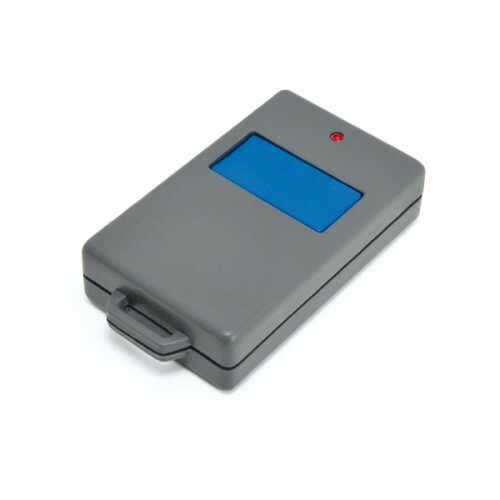 These tools are available for operation on the momentary interruption of the circuit that has a power supplied by a small non-rechargeable battery. But further processing of the remote control circuit is already being studied. In this new card, not too remote from a remote control, will be added a battery charger for 3.7 V batteries. The result will be to have a complete processor and radio module card with the possibility of being self-powered and always stay on. In this way the system listens for incoming or originating messages based on various types of alarms. In fact, the analog and digital pins available on the micro-card will be increased. • micro-card with the possibility of self-powering via a rechargeable battery, including an Arduino processor (of the LilyPad type) and radio module; power a compressed station even with solar panels. • remote control / mechanical alarm, presented in this article.